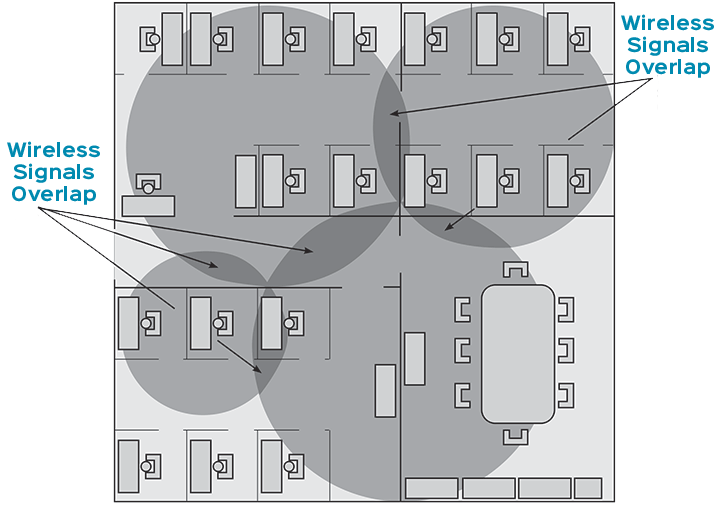 The successful implementation of a wireless network depends on the parameters that are set in relation to the desired outcome. First and foremost, it is important to understand that there is a process involved. Gone are the days of randomly putting up Access Points and hoping it works. Wireless dependency has changed the nature of wireless technology, and in order to maximize the return on our investments in wireless, we need to have a plan. From a high level, this plan includes the basic steps Survey – Design – Implement – Verify. The Survey includes a survey of the area that we want to deploy in and sets the parameters for the success. What is the purpose of this network? What is the desired coverage and expected capacity? What applications are being used and what throughput required? The Design involves taking all the data collected during the survey, and the requirements of the network, and putting them together to gain a full understanding of the desired outcome. To this, we add the element of futureproofing the design by maximizing the longevity of the solution and the potential for future applications. Then we add the technology. Including things like architecture, frequencies, power, adaptive networks, number and placement of access points, self-healing design, controllers and cloud-based technologies, are all considered. Ultimately, the objective is to design a fully functional wireless network that meets and exceeds your expectations. The Implementation process involves our team of expert installers who help turn our vision into reality. Using industry standard components, best of class technologies, and tried tested and true installation methodologies, we ensure that every installation is a success from start to finish. Verification is the last step in this process and is often the most overlooked. Whether your wireless network CORE designed and CORE installed, being CORE tested is an important step in the cycle. The post-implementation site survey is the only way to validate that your wireless design and installation meets your initial requirements. If you, or your supplier, have not performed this validation, then you have no way of knowing if are receiving what you agreed to, or paid for. A proper post-implementation survey will clearly show you the performance of the wireless solution, including coverage and throughput. Core Tested = Peace of Mind. Have more questions or need help? Contact Chris Reddy directly for your wireless needs.